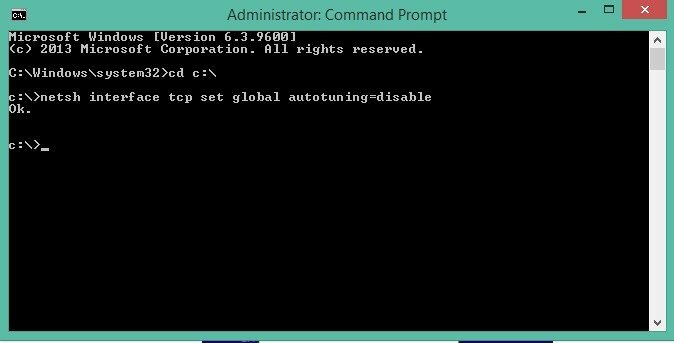 Use the hidden trick of windows to speed up the internet speed in your Windows PC by using some special commands in command prompt to boost up the internet speed by disabling the global automating on the connected network. Hey Guys, As we all are aware with the vast use of Internet in today’s life. It has become compulsory for companies, industries, schools, banks etc to make use of Internet for their linking and development as well. But what will happen if we put maximum load on the server, it will results in slowing down of your internet speed which may results in delay in your work. And such thing really irritates us. So in order to resolve the problem of Internet speed, I am going to give you a trick to increase internet speed on Windows(7,8,8.1) by using a command prompt. So have a look on complete guide discussed below to proceed. 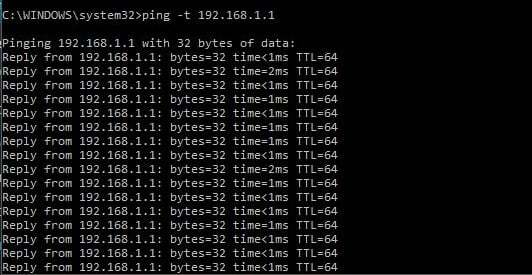 The method is quite simple and easy and you just need to use some commands that will boost up your internet speed to some extent. So follow up some simple steps below. 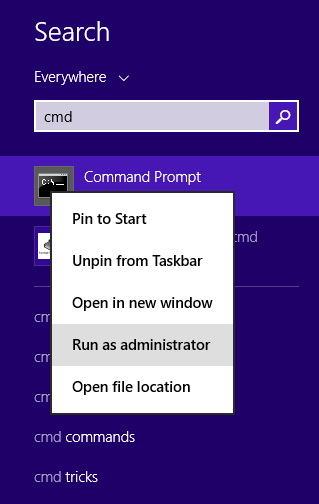 First of all in your windows PC click on Start and Type “cmd” in Search program and files box (right click and select Run as Administrator). Now command prompt will appear and in command prompt go to root directly “C:\” by typing “cd C:\“. 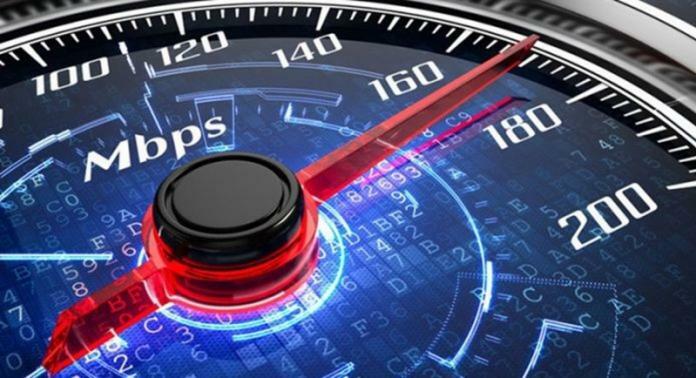 Now you need to execute the below commands to speed up internet in your PC. First of all you wil need to check the internet speed from the default gateway that your PC had currently connected to and for that firstly you need to find the default gateway address and then checking the connection speed at that IP address. 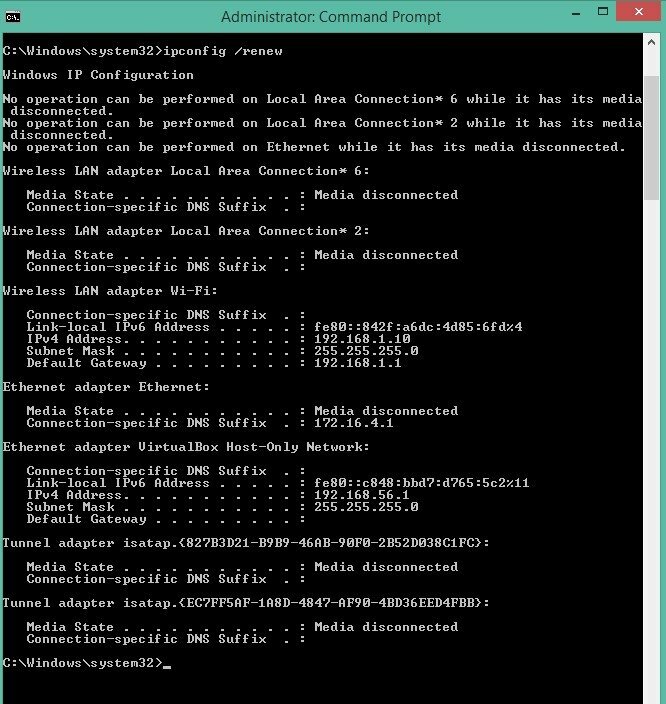 -> First of all find the default gateway by entering the command ipconfig /all in the command prompt. And there note down the default gateway address. 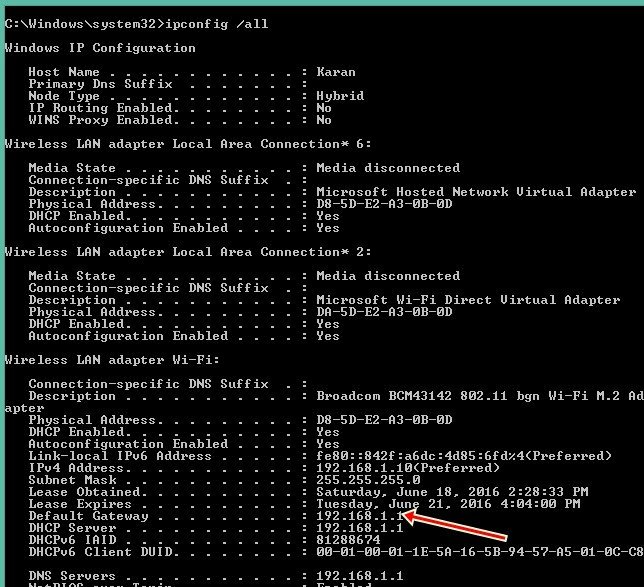 -> Now you need to ping the connection on default gateway and for that enter the command ping -t <your default gateway address>. And with this you will see the time periods of the packet thats acknowledgement is received and lesser the time period more is the internet speed. Now our target will be to minimize this time period. 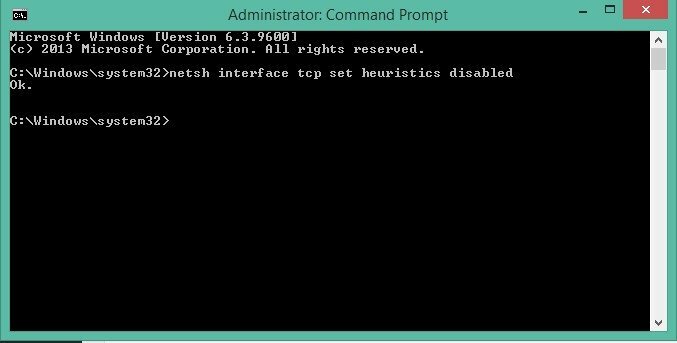 There are two types of commands that you need to enter in your command prompt to boost up your internet speed. “netsh interface tcp set global autotuning=disable“. After entering these commands you can check your default gateway speed to and also the change in the internet speed that will be quite easily visible to you. So the above discussion is all about How To Speed Up Internet Using Command Prompt. By comprehending the above tip you can make your internet quite faster and further this can preserve your internet usage data too. Hope you like the post, don’t forget to share it with others too. Leave a comment below if you have any related queries with this.